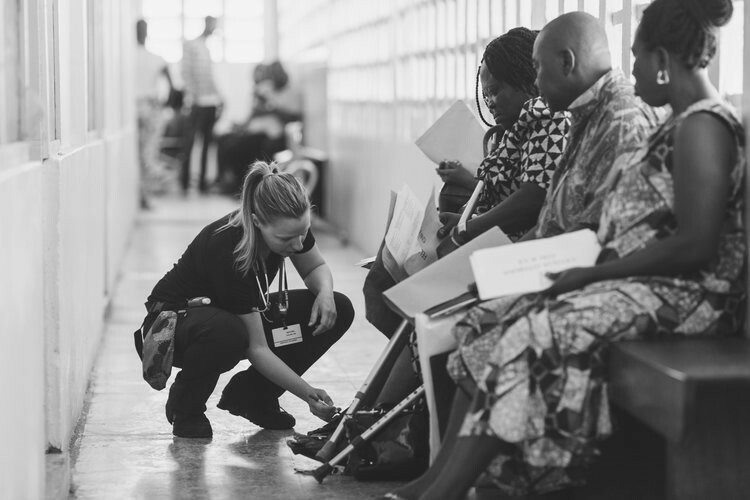 An Operation Walk team of 25 in 2016 and 44 in 2017 have traveled on a 10 hour flight to Accra to help those who have no hope or resources to lead productive lives without our help. 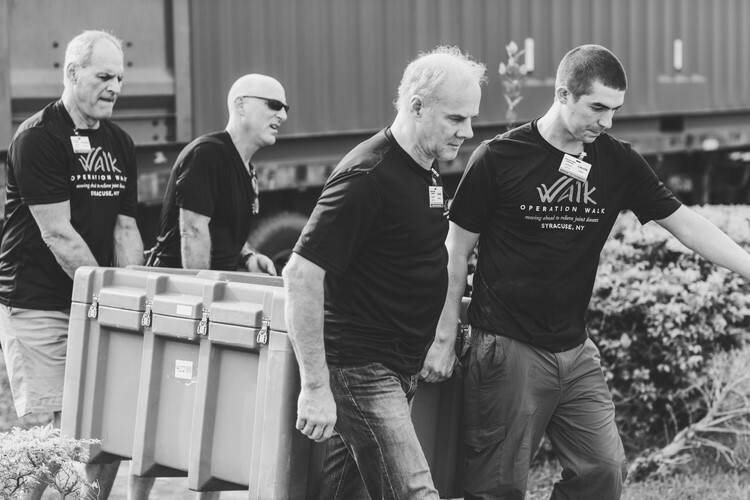 Dr’s Brett and Seth Greenky, Tim Izant, Stephen Bogosian, John Parker, Luis Castro, Greg Kenien and doctors from Chicago and Boston joined our team along with Anesthesiologists, Nurses, Physical Therapists, Surgical Techs and other professionals that comprise the Operation Walk team. All of these people put all their time and efforts for 8 days into helping the people of Ghana. The team worked out of St. Joseph's Orthopedic Hospital. Languages: English is the official language. Exports: Gold, cocoa beans and timber products. Others include tuna, aluminum, manganese ore, diamonds and horticulture. 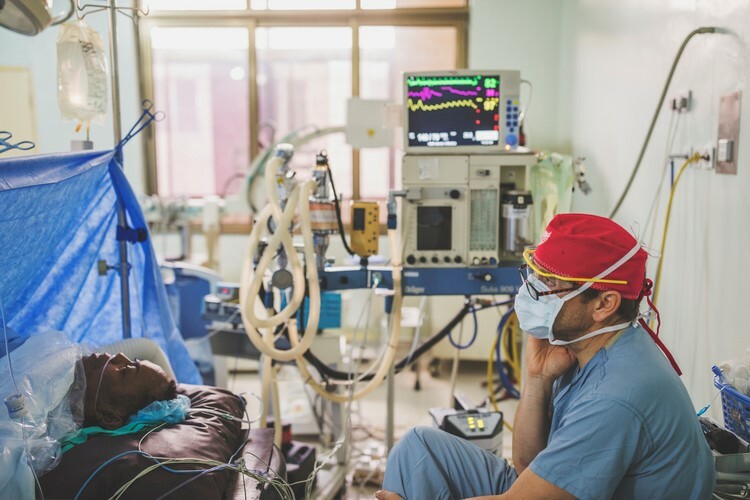 All the equipment that was set up in 4 Operating rooms was brought, donated by implant and pharmaceutical companies or paid for by our team with donations collected through our fund raising efforts. Six tons of cargo took 1 month to be shipped by freighter ahead of our arrival and was waiting for us to unpack when we arrived. 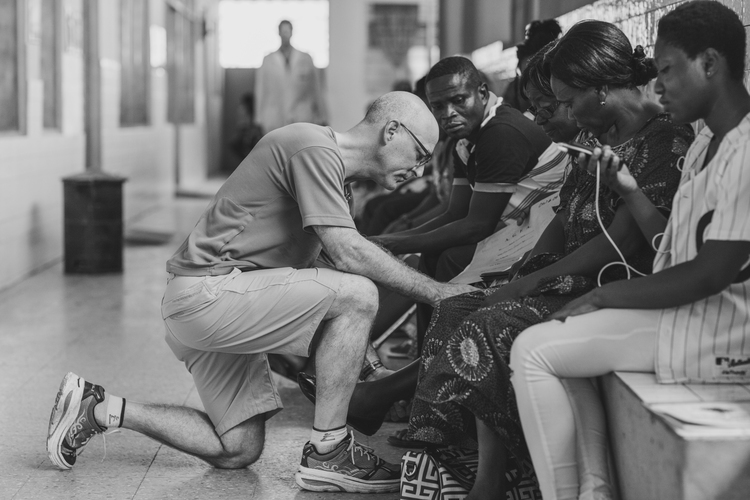 St. Joseph’s Hospital in Koforidua was where hundreds of prospective patients came from all over Africa for a chance to have our team perform a joint replacement that will change their life. 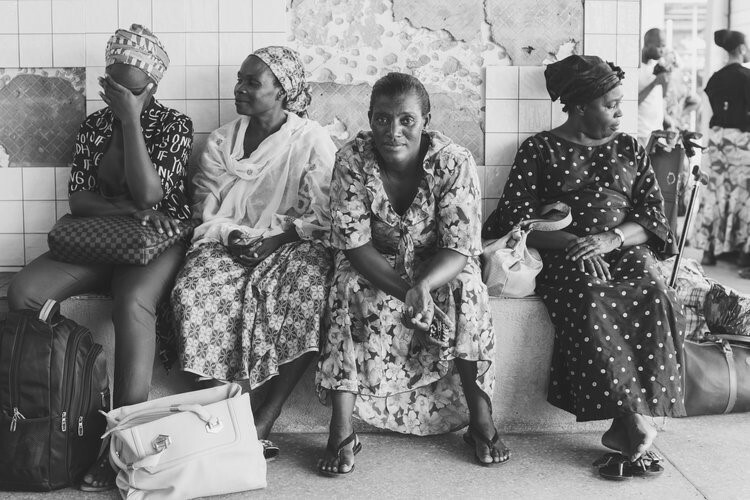 A screening took place of all who come to find out who is most in need of our life changing surgery. 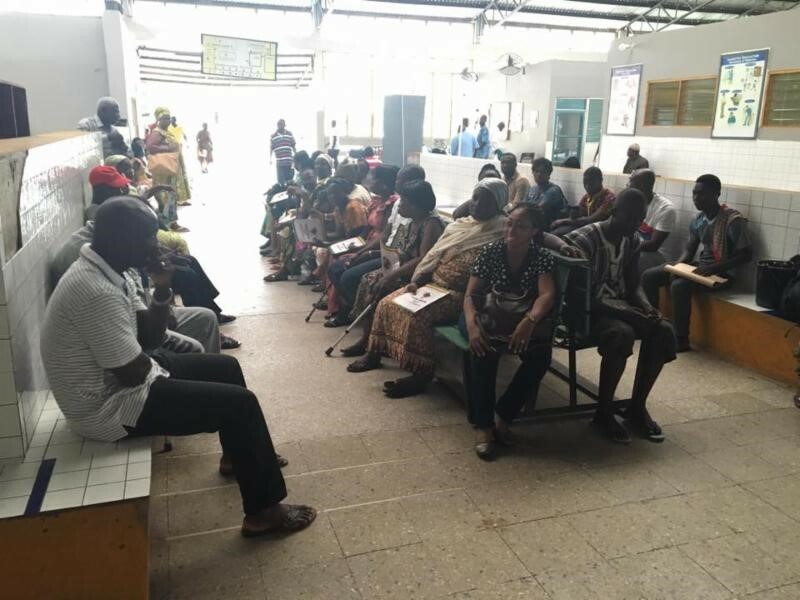 Over 100 people came to be screened, but only 50 are able to be chosen for surgery. Many young people, as young as 17 will need hip or knee replacement surgery to help them live without pain and provide them a chance to restore their ability to walk, to provide for themselves and their families. Surgery is very difficult and takes a long time due to the strong bones that are inherent from their environment. There is a sickle cell trait is inherent in many who come, and it contributes to their need for joint replacements as young as 17. We performed 4 full days of surgery in four operating rooms starting at 7 am and sometimes finishing by 7 pm each day if everything goes smoothly. 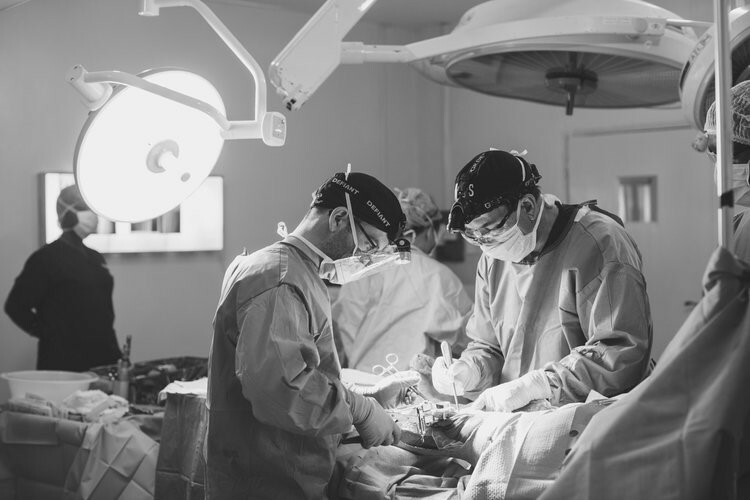 Surgeries were performed with the local team present to provide a hands-on educational experience and to care for our patients to continue the healing process once we return to the USA. In total, 118 joint replacements for 107 patients were performed between the 2016 and 2017 trips. 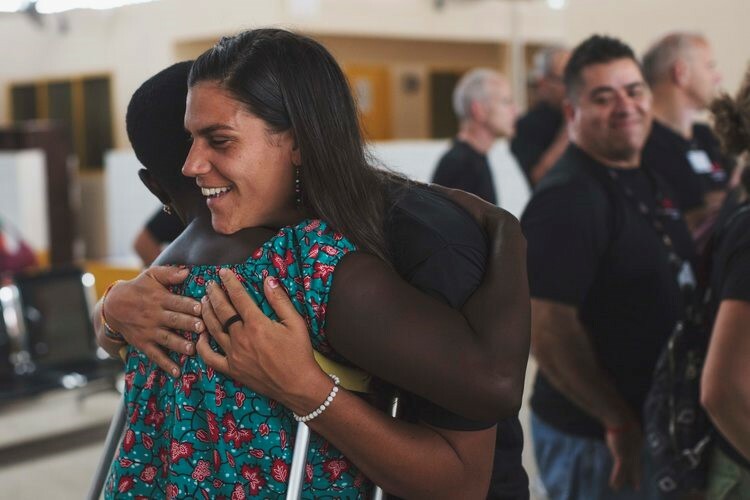 Everyone who goes on the mission trip is a volunteer, paying their way, using their own time in order to help those who would not be able to receive this care in their country.